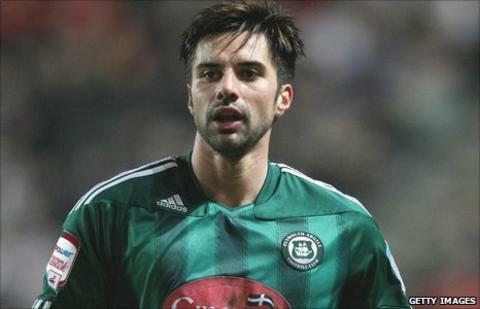 Former Plymouth Argyle striker Rory Fallon has joined Yeovil Town on a one-month contract. The New Zealand international spent four and a half years with Argyle but was released at the end of last season. It will be the 29-year-old's second spell at Huish Park following a short loan spell in 2005. "I'm enjoying my time here," Fallon told BBC Somerset. "I know Terry [Skiverton] from way back so I'm fitting in really well." After starting his career at Barnsley, Fallon went on to have spells at Shrewsbury, Swindon and Swansea before settling at Plymouth in 2007. He made a total of 160 appearances for the club but struggled with various injuries and was loaned out to Ipswich for a brief time last season. He continued: "I've been blessed that he [Skiverton] has given me the opportunity. I've had a tough couple of seasons from a club level. Last season I struggled with my groins. "The World Cup  was a massive blessing but that was what caused my hernia and then I had two relegation seasons so it's been a black cloud over me but hopefully now that's been smashed. "Now I feel like I'm starting to become the old Rory."